I just wanted to keep it simple and remind us about the benefits of water. People such as myself find it hard to drink at least 8 cups of water a day due to ignorance of its benefits or any other reason, but I believe with this post I would remind you guys and also myself about the natural fuel for our body ‘WATER’. is a transparent, tasteless, odorless, and nearly colorless chemical substance. It’s is vital for all forms of life even thought it provides no calories or organic nutrients (means you can’t get fat while drinking water lol). Then, drinking water (aka portable water) is water that is safe to drink of to be used for preparation of food. 1. It helps you exercise better Water helps fuel your muscles, so drinking before or during exercise will boost energy, as well as reduce the likelihood of cramps and sprains. 2. It boosts your metabolism Research has shown that drinking half a litre of water within 30-40 minutes can increase how fast your body burns calories by up to 30%. 3. It gives you younger skin Drinking water combats dry skin, flushing out toxins and bacteria. So preventing dehydration improves the appearance of skin giving a healthier and more youthful look. 4. It cures headaches. Reach for a glass before popping a pill. Dehydration is one of the most common causes of headaches. Maintaining a regular water intake should combat most headaches even those brought about by fatigue. 5. It boosts productivity A regular supply of water to your body helps your brain work at a better pace and helps you concentrate. Just as your car will go further with more fuel, your productivity levels will increase with more water. 6. It’s good for your immunity Drinking water helps to fight against colds and flu and prevents salts accumulating in the kidneys which form kidney stones. It also maintains the thickness of blood plasma avoiding cardiovascular complications In addition to preserving the correct shape of bones preventing arthritis. 7. It improves digestion Water assists in the removal of toxins and waste from your body encouraging regular bowel movements and is crucial for a healthy gut. Drink water means no more constipation. 8. It’ll increase your energy Hydrating your body increases its power to work to its full capacity.Not only will you avoid feeling tired, but you’ll never have an excuse to be lazy again. I end here to save you guys from the boredom since its my first post. Always drink adequate water to stay healthy. 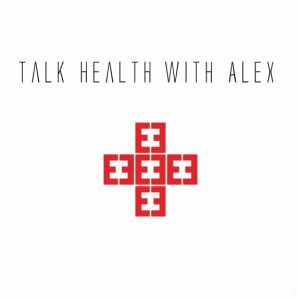 You can follow my Instagram @talkhealthwithalex to catch up with my latest posts. Hi Alex! I think I’m going to enjoy reading your posts when you do post… even as I sit here drinking my second 41oz of water. My wife read me an article last year about the benefits of water, and I have been drinking half my weight, in ounces, everyday (almost) ever since. Very nice blog! Congratulations! Important information to know. Thanks for sharing. Great stuff. I saved it as a reminder to keep drinking more water. And congratulations on your new blog and first post. Good job. You’re welcome. And welcome to blog world. I WILL ALWAYS BE ON THIS BLOG…. THANKS FOR THIS WONDERFUL INFORMATION. Hi Alex Or Should I Say Lexie Marshall. This Is A Good One You Got Here, Thanks For The Tips And I’ll Keep These In Mind. sure…mr inspiration…keep on inspiring people out there. Thanks for following my posts and for reminding me to drink more water! I like your emphasis on healthy habits, and thus prevention. Can you share some wisdom on exercise? Sure I will, thank you for your idea and I’ll see to it asap. Due to your knowledge I believe that your recommendations are very accurate. It can not be overlooked if it comes to benefit our health. Thank you for your master class on the benefits of drinking water. In healthy body, healthy mind.